One-on-one meetings with Hong Kong investors. An opportunity to meet Hong Kong Institutional limited partner investors from the largest Insurance companies, Pension Funds, private family offices and private wealth managers. A forum to exchange ideas and strategies with Hong Kong investors, other U.S.-based fund managers, and policy-makers from both Hong Kong and the United States. Thanks, Irwin. I enjoyed the event and met some folks that should be good LP prospects. As far as the event structure and organization — it was excellent. Had the potential of being total chaos but you and your team had everyone well prepared and kept things moving along nicely. Very professionally done. Also very little that I would have done differently. Without the trade mission format, it would be impossible to set up 20-30 LP meetings in one day with pre-qualified potential LPs. It would require multiple days and multiple trips. This is a major benefit in terms of dollars, time and energy saved. Without US Government support you would most likely need to hire a placement agent, which would be a significant up-front cash expenditure. There is a cost in time and energy involved in identifying prospects, securing contact info, contacting the prospects, convincing them to meet and then coordinating the schedule in an efficient manner. The Trade Mission takes place on one day and all the LPs come to your hotel. This is a major advantage and a significant save in time, expense and opportunity cost. As we all know, "Time is Money". The US Embassy is the "convener of stature" for the Certified Trade Mission which lends a prestige to the event, helps guarantee the quality of the attendees, and limits the attrition prior to the event. Mr. Timothy Shen is the Chairman of Huge Famous Investment Group and Look’s Asset Management Limited which is a SFC Type 1,4,9 licensed corporation and money lender in Hong Kong. He has over 20 years’ experience in the accounting, corporate finance, investments, M&A, and restructuring advisory areas with companies such as Merrill Lynch, Coopers & Lybrand, also as Deputy GM of HK Hang Seng Index Component Stock China Merchants Holdings International which is the largest (HK$90B) port and infrastructure operator in China, CFO of Fortune Oil listed in London Main Board focusing on the China Oil and Gas sector, CEO and CFO of HK listed Universal Holdings Limited now Huayi Tencent Entertainment which is a dominant Total Media operator in China, Vice Chairman and ED of Kong Shum Union Property Management which is the 3rd largest property management company in HK, and CIO of various PE Funds focusing on M&A, real estate, e-commerce, tourism, lifestyle sectors etc. For the past decade, the value of corporate finance transactions he has handled has exceeded US$10 billion. He holds both an MBA and LLM, and is a Certified Public Accountant (USA and HK), Certified Financial Planner (Canada and HK), and Chartered Financial Planner (Canada). He is a member of the American Institute of the Certified Public Accountants, Fellow member of the HK Institute of Certified Public Accountants, Member of the Financial Planners Standards Council of Canada, Exco/China Committee Member of the HK Private Equity & Venture Capital Association, Founding member of the International Association of CFOs and Corporate Treasurers, Founding member of the HK Business Accountants Association and HK Independent Non-Executive Director Association, National Chairman of the Canada China Trade Development Association. He also established the China Enterprises Economic Research Study Centre, a “think-tank” advising various entities in China and Hong Kong covering macro-micro economic strategies. For the past 15 years he has been invited to speak on financial topics at the “HK Week” in China which was attended by more than half a million participants from the Chinese business sector. He was twice appointed the Entertainment/Media Industry and the Garment/Retail Industry Advisory Committee Member by the HK Trade Development Council, and serves as a visiting lecturer of the HKU Space in the corporate finance area. 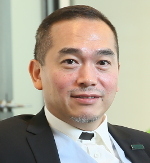 He has been a member of the Board of Review under the Inland Revenue Ordinance, the Appeal Panel of the Green Building Council, and the Appeal Panel of the Housing Authority, and is now a member of the Disciplinary Panel of HK Institute of Certified Public Accountants. He was also appointed the Official Trade Representative of Yixing City (Pottery Capital of the World) of China and the Bancomex (the Federal Trade Development Bank of Mexico), Director of the City of Changchun (Jilin Province) CPPCC Friendship Association, and a member of 12th and 13th Changchun CPPCC (Chinese People’s Political Consultative Conference). He is now also a member of the HKCPPCC Association. 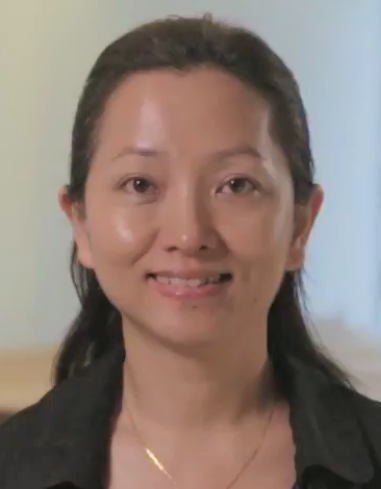 As one of the top 5 Women to watch in Asian Tech (Nikkei Asian Review), Carman Chan is a veteran in the technology industry with decades of experience as an entrepreneur with multiple exits, a tech columnist and a globally recognized venture capitalist. Chan began her entrepreneurship journey when she was in university. In order to pursue her passion for the newly emerging Internet, she passed up a fully sponsored PhD from Imperial College to become a serial internet entrepreneur. Her first company, English Street, was acquired by HKET, a Hong Kong listed newspaper group. Her second company was merged with Hiiir in Taiwan and later acquired by FarEasTone. Chan is also the best-selling book author of several accelerated learning books. In her eight years as a tech columnist for IT magazines, she wrote about internet business models and internet marketing. After several successful exits she started Click Ventures, her angel fund. With a focus on providing seed to series A financing to technology startups, Click Ventures is differentiated by offering mentorship for entrepreneurs with over twenty years of first-hand experience as well as global connections. Click Ventures has grown into a leading investment manager, and all of its seed funds are featured as Top performing Seed Fund (Vintage 2003-2015) in the world and Top Fund to Watch by Preqin respectively. Click’s current 40+ portfolio investments includes Spotify.com, Docusign, Palantir.com, Memebox.com, Youappi.com…etc. Due to her deep experience, Chan is frequently invited to speak for prestigious events around the world. She has appeared in 10+ countries at high profile events including the Web Summit, Slush, AVCJ Private Equity and Venture Forum, and Silicon Dragon. 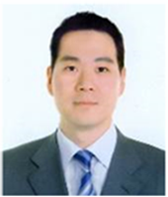 Edward Moon is a Managing Director and Regional Head of Alternatives Investments Group, Asia for HSBC Private Bank. He has over 20 years of financial industry experience across alternatives investments, investment management and investment banking. Before joining HSBC he was responsible for hedge funds and liquid alternatives investments at Bank of Singapore. Before that he was a Managing Director at Lighthouse Canton Pte Ltd and Chief Investment Officer at Woori Absolute Partners, the alternatives investment platform for the Woori Financial Group. He was also previously a vice president at Citigroup and a financial analyst at Credit Suisse. He holds a Master in Business Administration from INSEAD and a Bachelor of Arts (with Honors) from Brown University. 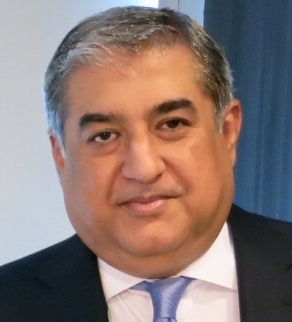 Rajiv Kochhar has over 30 years of experience as a financial services professional and an entrepreneur with interests across investment banking, fund management and financial technology. He founded Avista Advisory in India in 2000 as a mid-market investment bank focused on the high growth mid-tier corporates who had growing needs of capital raising, corporate finance advisory and business structuring. Now based in Singapore, it has grown into a Pan-Asian financial services group with expertise across investment banking, asset management and fund management. It has a strong presence in India, Singapore and Indonesia and is making forays into the Middle East and Hong Kong. Having built the foundation of a robust investment banking business, Kochhar leveraged his knowledge and experience in the financial services industry by establishing related businesses in asset management and fund management. His key objective now is to grow Avista’s footprint both in markets served and in product offering across all the businesses and create an institution which spells quality and service throughout the Asian region. In 2016, he co-founded Payism Global. Headquartered in Singapore with key operations in India, it is a financial inclusion platform providing services across its payments solutions and farm fintech businesses with the objective of providing various services on a digital platform for the unbanked and underbanked consumer. Payism is aggressively expanding across the Indian sub-continent, is nearing a GMV of USD 1 billion in its second year of operations, and is soon expanding operations into Southeast Asia. Kochhar graduated with a degree in Commerce from the University of Mumbai, combined with a professional degree in Accounting. In addition, he has an MBA in Finance from SP Jain Institute of Management, Mumbai and has also attended the prestigious Owner President Management Program at the Harvard Business School. He currently resides in Singapore with Monica, his wife and business partner. They have two sons who are pursuing careers in Finance and eager to carry on the legacy of Avista. 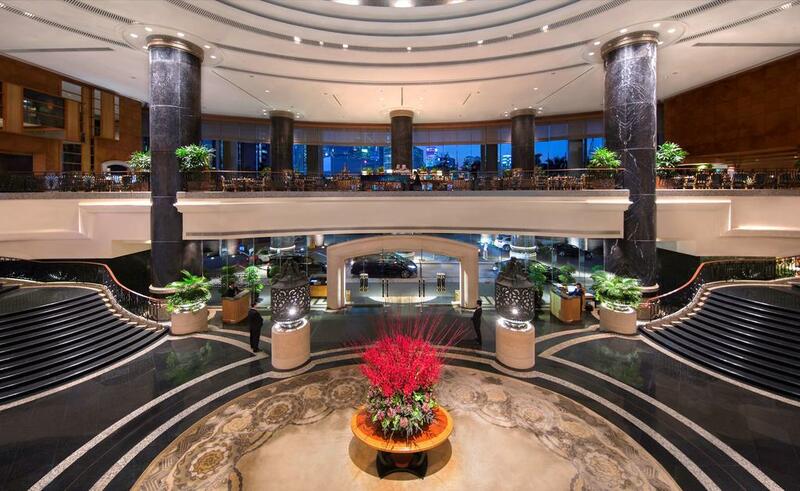 Check in at the five-star Grand Hyatt hotel. Welcome Reception hosted by the Deputy Chief of Mission Hong Kong or the Senior Commercial Officer of the U.S. Department of Commerce at their residence for the U.S. GPs and Hong Kong Investors. One-on-one meetings: Members of the U.S. delegation will meet one on one with each investment professional from the leading Hong Kong institutions, insurance companies, pension funds and family offices. Each attendee will meet with each Hong Kong institution. Meetings will be approximately twenty minutes long. Each LP will have a private room for the meetings; GPs will go room to room. Deluxe accommodations: Two nights at the Grand Hyatt Hotel. Complete Conference program including one-on-one meetings arranged with Hong Kong’s leading institutional investors and family offices.